We're visiting the sites associated with the Battle of the Bulge, in the Ardennes Forest in southern Belgium The trip started in Normandy with a visit to the landing beaches and battlefield of the D-Day landings of 6 June 1944. Now, like the Allied forces, we have continued east across northern France and entered the Ardennes. We had crossed into Belgium after driving across France most of the day and then spending the night in a cheap hotel near the Luxembourg airport. 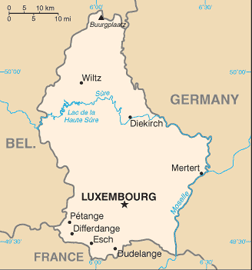 US Government map of Luxembourg. 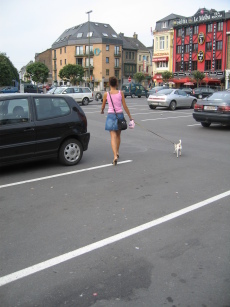 Luxembourg is a small and relatively old country. It was founded in 963 out of the Holy Roman Empire (which, it must be noted, was neither holy, nor Roman, nor an empire). The Grand Duchy of Luxembourg was established in 1815 as an independent state under the control and protection of the Netherlands. It became more independent in the process of losing some Ardennes territory to Belgium in 1839, and gained full independence in 1867. Luxembourg is the only country still operating as a Grand Duchy. And a note to the confused (as I was) — "Duchy" is pronounced as if it were derived from the same source as the word "duchess," which it is, and it is not pronounced like "ducky"! Small and odd thought it may be, Luxembourg has a very successful high-income stable economy. According to the World Bank, it has the second highest gross domestic product per capita, after Qatar. Its economy has been based on steel, chemicals, and rubber in the past, but now banking, financial, and data services make up the greatest part of the national economic output. Luxembourg is now the world's second largest investment fund center after the U.S. and the largest private banking center in the Eurozone. It is also working to attract major Internet operations with optical fibre networks throughout the country. There are redundant optical networks connecting the country to the major European Internet Exchanges — AMS-IX Amsterdam, DE-CIX Frankfurt, and LINX London. The country hosts one Internet Exchange point and one Carrier Ethernet Exchange point, and twenty major data centers. Amazon and Skype have both moved their regional headquarters to Luxembourg. 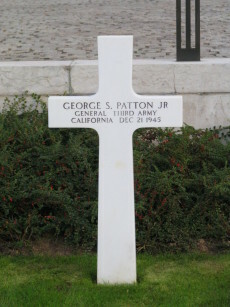 Patton's grave at the American Cemetery. 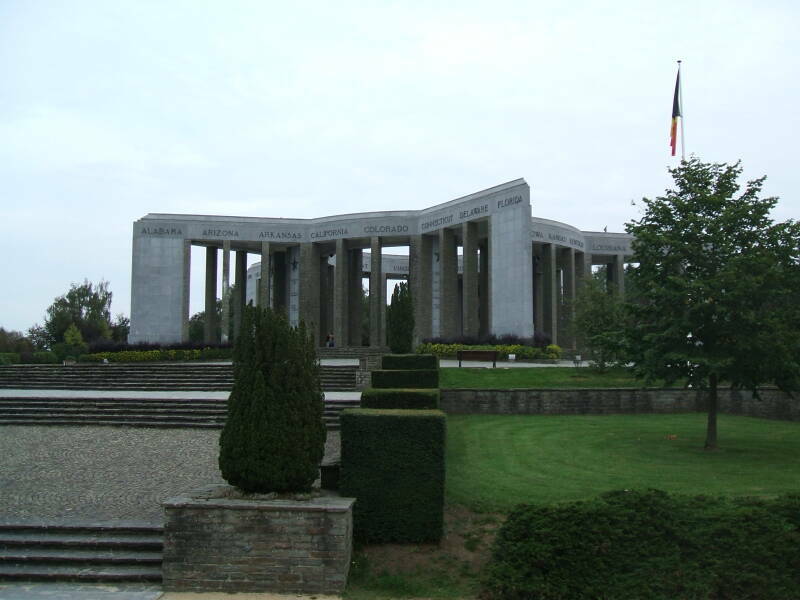 The next morning we stopped at the nearby Luxembourg American Cemetery where George Patton is buried along with 5,075 other American service members, most of whom died in the Battle of the Bulge. 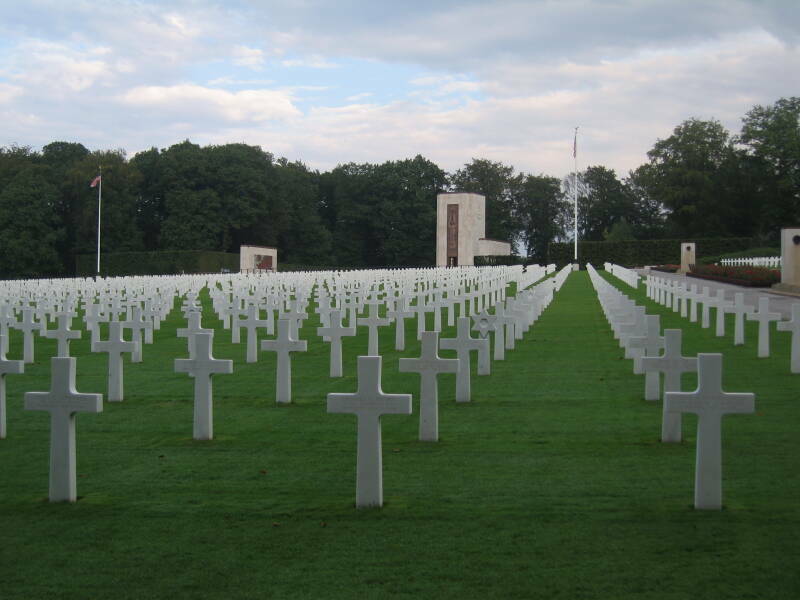 The cemetery holds the remains of 5,076 U.S. service members, covering some 50.5 acres (204,000 meters2). It is very nicely run by the American Battle Monuments Commission. The cemetery is very close to the airport, and as we were staying in a chain hotel near the airport, it was right there just a few minutes away for our first stop in the morning. Then it was north and across the Belgian border, to Bastogne! 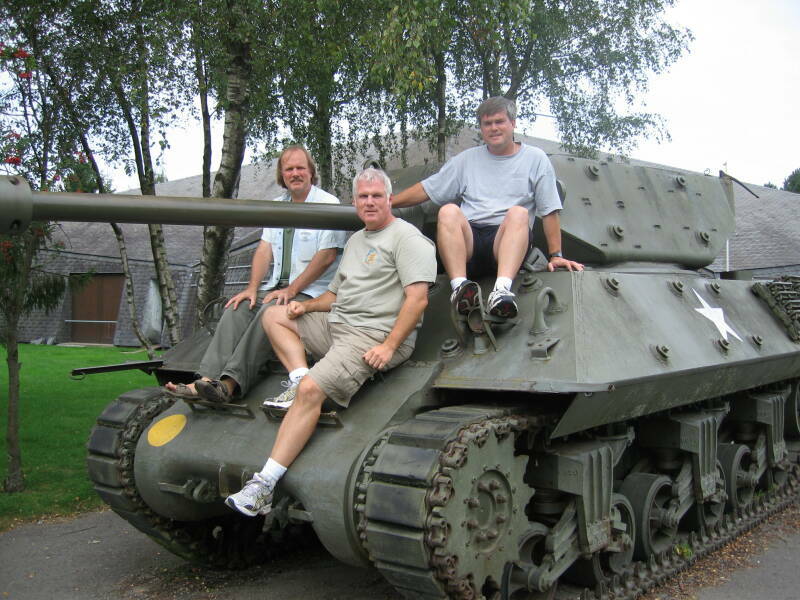 Here we are at the museum outside Bastogne. That's me on the left, Jeff in the middle, and Tim on the right. 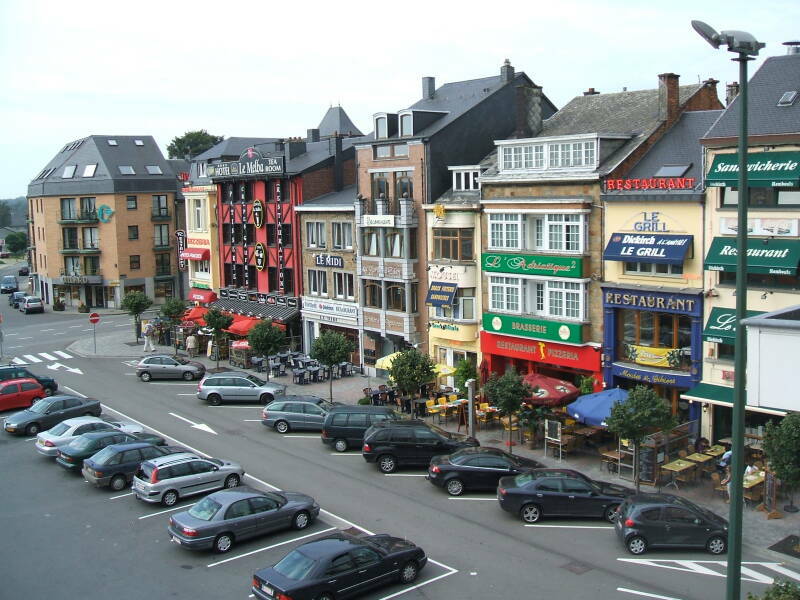 Here you see the square in Bastogne. There are plenty of hotels, restaurants, and bars all around the central square. We stayed right on the central square, where we got a triple room in a nice hotel for €105. The picture above is from our window, looking down across the square. You can see that it's almost solid restaurants along that side of the square. 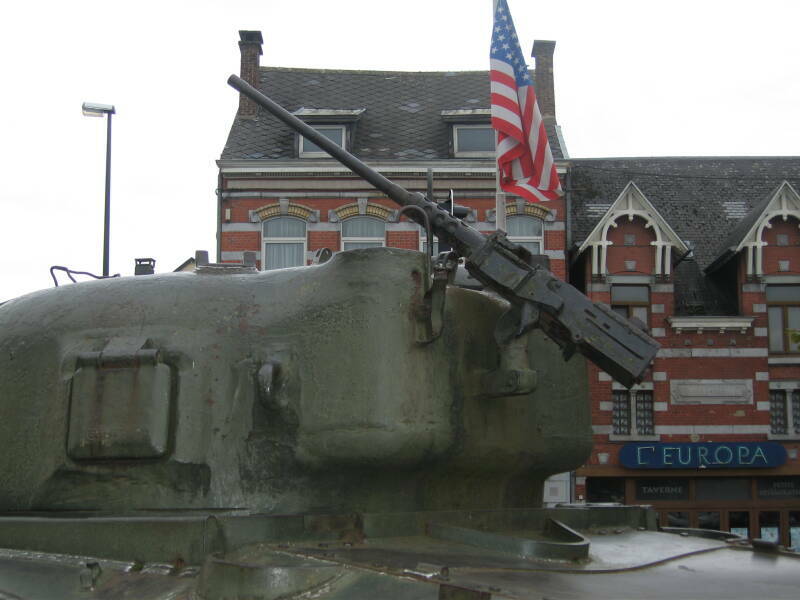 An old American tank serves as a memorial in another corner of the square at the center of Bastogne. There is a nice museum on the edge of town. That's where we took the picture of us sitting on the tank, at the start of this section. 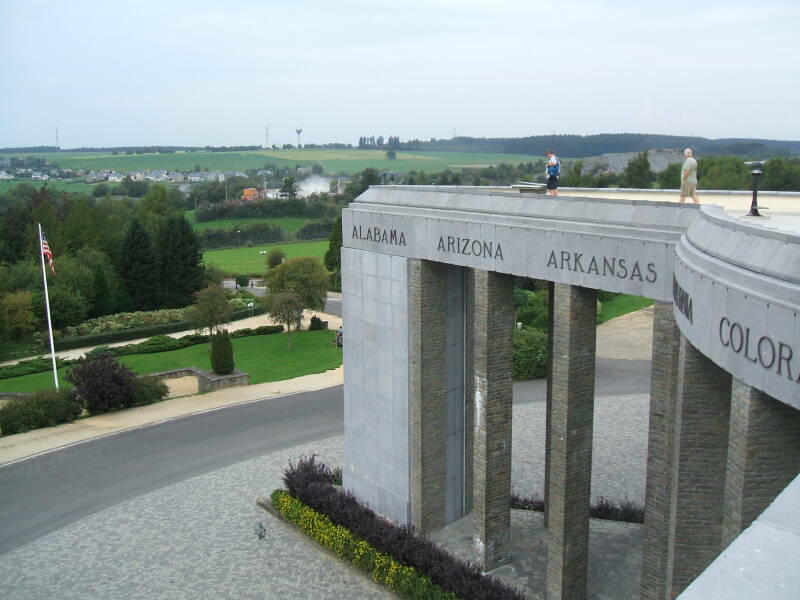 "The Belgian people remember their American liberators — 4th July 1946"
The memorial has great views over the surrounding countryside.